Lobster Mac and Cheese is, by nature, a decadent dish. Be sure to have a nice big salad to go with it. If you can’t find Fontina cheese, use Monterey Jack. Cream cheese can be used in place of the Laughing Cow. Use just 1 ounce. If you have the lead time, throw the lobster tail shells and a slice of lemon or two into the pot of salted water you’ll be cooking the pasta in. Bring it all to a boil, then turn off the heat and let the shells steep in your cooking water. Fish out the shells and lemon before using this flavored water to boil the pasta. Preheat the oven to 350° and butter a 1 1/2 quart baking dish with 1 tsp. of butter. Bring a large pot of generously salted water to a boil. 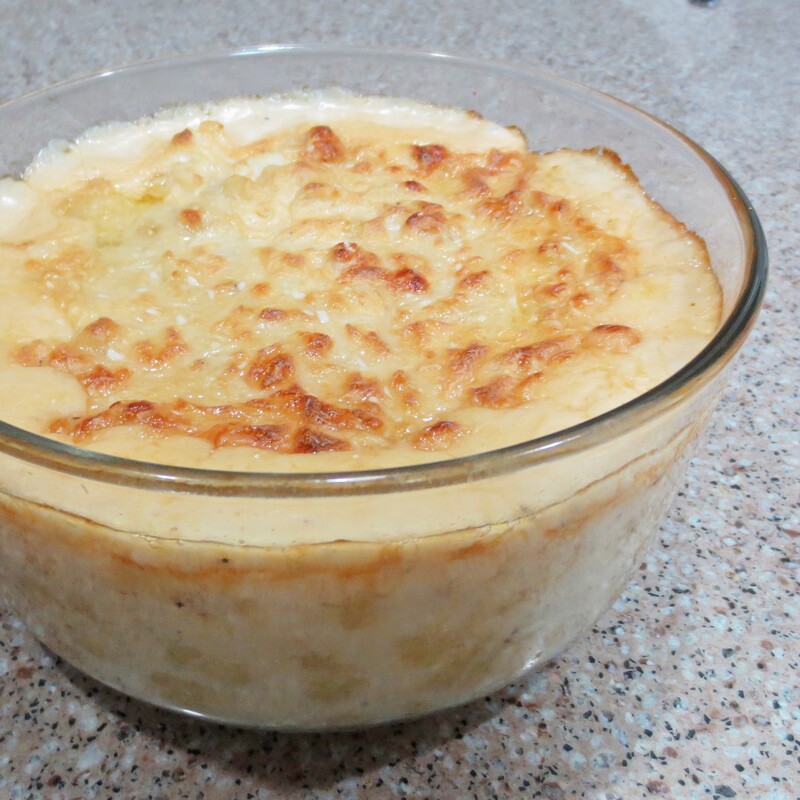 Cook the macaroni just until it begins to soften a bit but is still too firm to eat as is. Drain. Remove the lobster meat from the shell and chop into fairly large pieces. In a large skillet over medium high heat, melt 1 Tbsp of the butter. When the butter begins to brown cook the lobster for just one minute. With a slotted spoon, remove the lobster, It will continue to cook in baking. Add the remaining butter to the skillet and whisk in the flour. Cook and stir constantly for a couple of minutes to cook out the raw flour taste. Whisk in the milk and continue to cook and stir until the sauce is thick and bubbly, about another 3 minutes. Add the cream, salt, and peppers and stir to combine. Save a bit of the Parmesan cheese for the topping and add the remainder, along with the other cheeses, into the sauce. Stir to melt. 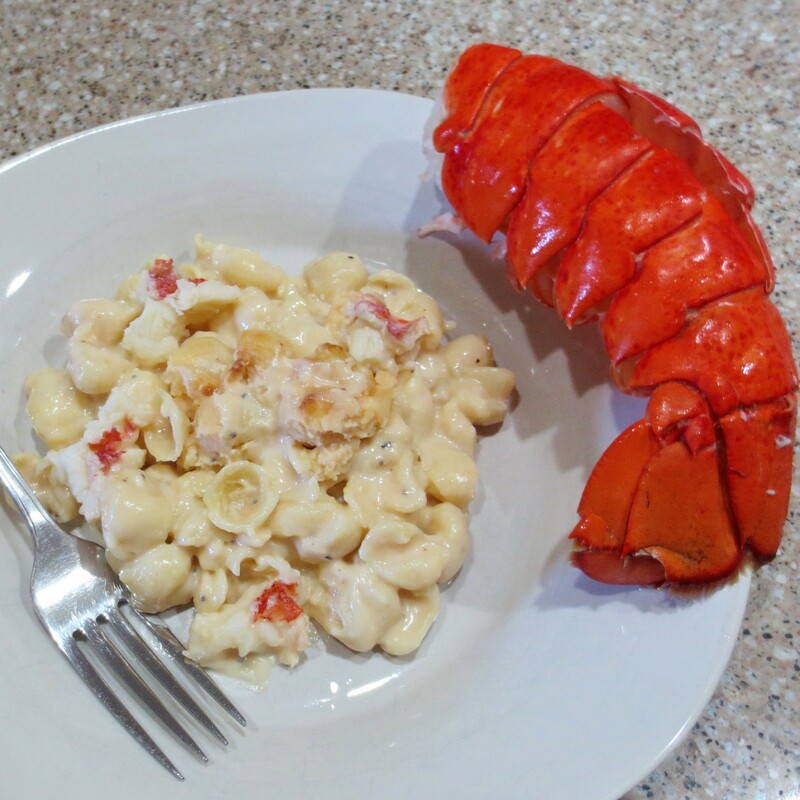 Stir in the drained macaroni and the lobster, then pour into the prepared baking dish. Sprinkle the reserved Parmesan on top. Bake, uncovered, until a slight crust forms on top, about 20 minutes.